When it comes to the transformation of the public relations industry, Google, Facebook, and Twitter always receive the revolutionizing praise. This post, however, is aimed to put visual content on the pedestal. 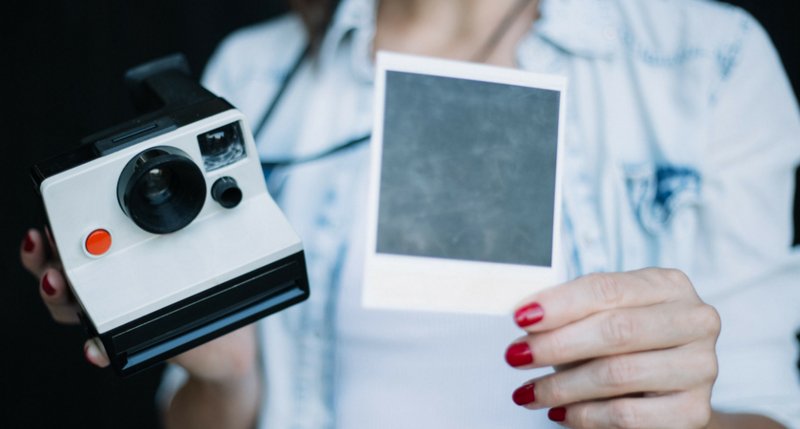 As you look through an interrogative lens — analyzing brands, consumers and the media’s relationship with multimedia, it’s easy to see that visual content is the engine that steers the narrative. Multimedia is the gatekeeper to earned media and the catalyst to engagement. Read on to learn how multimedia can boost the performance of your next PR campaign. To understand the impact of multimedia, we must acknowledge the fact that content is everywhere and there is no way to escape it. When you pair the 24/7 news cycle with always-on connectivity, you get consumers overwhelmed by a perpetual stream of content. From online articles to advertisements to blogs to social media posts — numerous mediums are competing for your audience’s attention. We visit and see hundreds, sometimes thousands, of websites and pieces of content every week. So, our attention spans are extremely short and very diluted. Content intelligence company, Chartbeat analyzed deep-user behavior across two billion website visits and discovered that 55 percent of internet users spend fewer than 15 seconds actively on a page. To make an impact, content needs to shine. BuzzSumo, a content analysis company, also evaluated over 1 million articles in a study that revealed articles with an image every 75-100 words received double the shares versus articles with fewer images. The internet has revolutionized how we ingest content, and visual content has changed the way we consume it. Multimedia has the innate ability to trigger emotion, boost comprehension and spark long-term memories. Physiologically, the brain processes visuals quicker and more effectively than text, which speaks to the salience of multimedia. As consumers gravitate towards multimedia content — multimedia is also the driving force behind the content the media publishes. In our 2017 State of the Media Report, we learned that 71 percent of journalists “always or often” use multimedia in their stories. Furthermore, a 2016 interview with the Associated Press revealed most major news outlets will not run a text-only story. Multimedia is a crucial component to impactful modern-day journalism. How much traffic did the story drive? How long did people spend reading it? Ultimately, how profitable was the article? Given the abundance of content, it’s amazing to think there are more articles being published by fewer journalists. By 2024, the Bureau of Labor Statistics expects to see about a 10 percent decline in the number of working journalists. Four outlets alone, combine for over 1,000 stories daily. More often than not, reporters are losing the luxury of leaning on photo editors, copy editors and publishers to help complete their story. Journalists are up against the clock to publish high quality, share-worthy content. A helpful exercise is to put yourself in the shoes of a journalist. 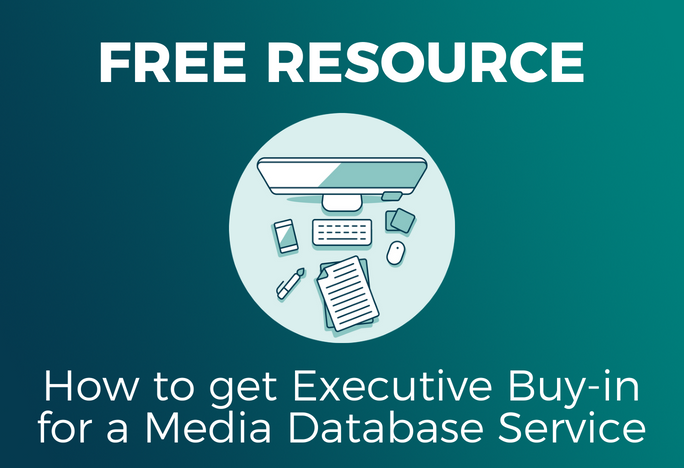 When you receive numerous well-crafted press releases — you’re going to take the path of least resistance, covering the fully packaged story complete with visual assets. It’s not only mandatory, it’s time-saving. In the eyes of the media, browsing press releases is no different than searching on Craigslist — people are very unlikely to click on a Craigslist ad that does not include a photo. For marketing professionals — multimedia is a must have. But for PR pros — visuals are still a nice to have. A 2015 study by PR Newswire found that less than half (42 percent) of all press releases included multimedia elements, and of the top 100 most successful releases, 68 included multimedia assets. 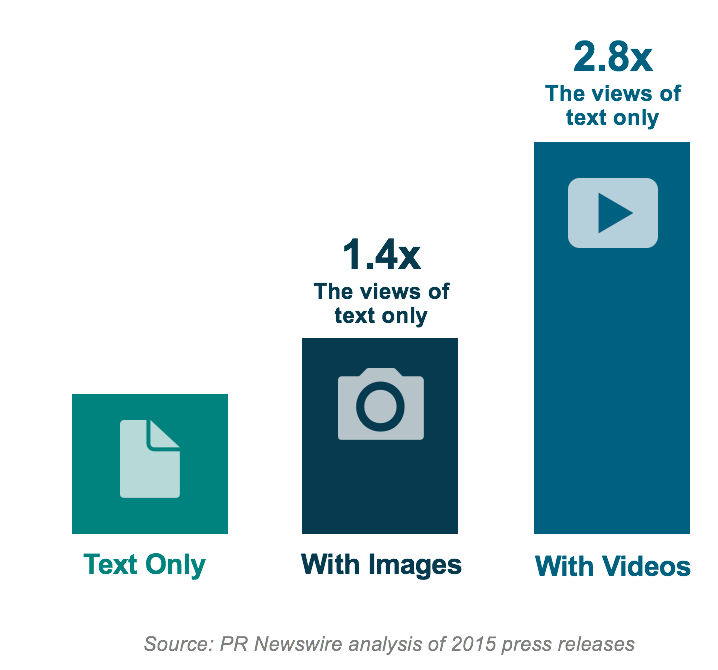 Our research shows that embedding a photo or a video in your press release can increase views by 2.8x. It’s quite surprising to see that PR professionals have not fully embraced visual storytelling. When seeking editorial coverage, it truly behooves communicators to package their press release with all of the necessary assets — logos, photos, videos, etc. — so it’s essentially plug-and-play for a journalist.